The sentiment was appropriate, given the UN’s agenda for the week: from September 25-27, at the 2015 United Nations Sustainable Development Summit in New York City, the UN member states will gather to adopt 17 new Sustainable Development Goals (SDGs) for the world, many supporting JGI’s mission to promote peace between people and the environment. These SDGs aim to address the root causes of global issues and do so with three overarching goals in mind: to end extreme poverty, fix climate change and fight inequality and injustice. These goals do not only apply to developing countries, but to the entire world. 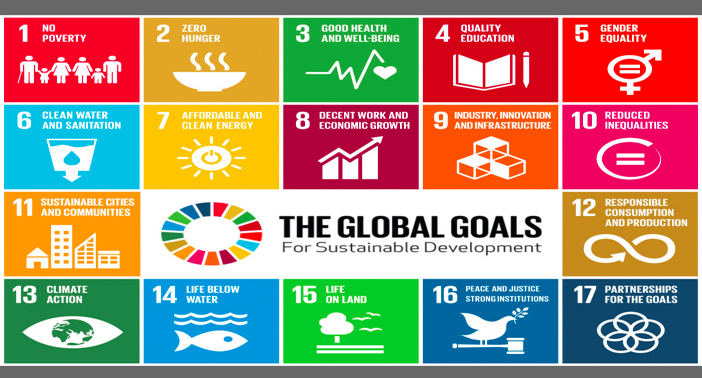 The SDGs build on the success of the eight Millennium Development Goals (MDGs) set out by the UN in 2000, which aimed to eradicate extreme global poverty and improve global access to healthcare, education and environmentally sustainable practices by 2015. Thanks to the MDGs, since 1990, 700 million fewer people live in extreme poverty, 2.6 billion people have access to improved water sources and the reported rates of new HIV infections have decreased by 40 percent. While one goal of the MDGs was to ensure environmental sustainability, the SDGs go further by including sustainability at the core of their mission, placing a far greater emphasis on addressing our environmental impact on the planet. Of the three overarching goals of the SDGs, the Jane Goodall Institute, as a conservation-based organization, works most directly on the third goal of fixing climate change. However, thanks to our community-centered approach to conservation, our work extends into the two other overall SDG goals, to end extreme poverty and fight inequality. JGI promotes establishing a sustainable harmony between people, animals and the environment, which often means empowering people to address problems in their own communities. So whether reforesting degraded land, developing alternative sustainable livelihoods for those living in poverty or promoting gender equality in schools and land use planning, all three overall goals of the UN SDGs align with JGI’s work. Goal 15: Sustainably manage forests, combat desertification, halt and reverse land degradation and halt biodiversity loss. In our series on the new UN SDGs, we will go more in depth on how JGI already works to support these SDGs, and how our plans for the future may make an even deeper positive impact on the world. Pamela Huber is an intern for the Jane Goodall Institute working primarily in the organization's communications department. As a journalist, she has written on the environment and human rights before writing for Good For All News. She is interested in community-centered conservation, technology, ape research and rehabilitation, preserving biodiversity and youth education. I love Jane G, and am happy to learn about these SDGs. But the author is an “intern”. Does that mean “unpaid labor”? Volunteer? It seems like a grey zone, ethically, IMHO. Not sure I like JGI using “interns”. Wish it was illegal.